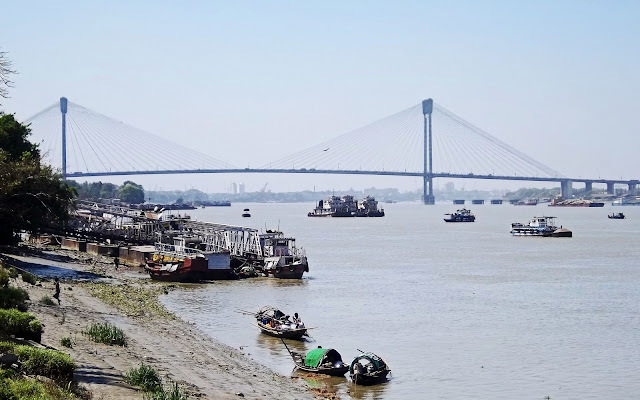 This image depicts the second Howrah Bridge from an angle and shows the riverside. There are boats near the riverside and on the river Hoogly as well. This bridge, like the old bridge, links the city of Howrah to its twin city of Kolkata. The bridge is a toll bridge for all vehicles. It was commissioned in 1992 and it is the longest cable-stayed bridge in India and one of the longest in Asia. 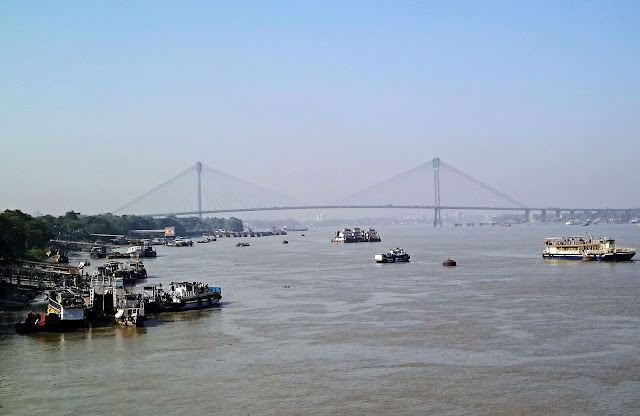 For photos of the Mumbai Sealink: Bandra Worli Sea-Link Mumbai photos, sketch, silhouette and painting.